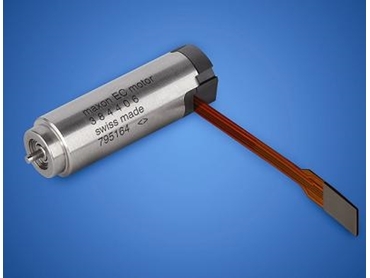 Maxon Motor Australia offers the new EC 8 drives, a compact range of brushless micro drives designed for diverse applications in robotics and instrumentation. The Ø8mm 2-watt brushless micro drive offers exceptional performance data with continuous current up to 0.95 mNm, nominal speed up to 80,000 rpm and 70% efficiency. Manufactured to the most rigid Medical Standard ISO 13485, EC 8 brushless micro drives offer superior quality and reliability. With its outstanding qualifications, the EC 8 motor is suitable for diverse fields of application including sampling robotics, portable analysers and metering systems as well as instrumentation and inspection robots. The motor is available with or without hall sensors as well as 6V, 12V and 24V windings. These brushless micro drives can be combined with the planetary gearhead GP 8A. 1-quadrant amplifiers serve as controllers, the DEC 24/1 is directly connected via flexprint and the DEC 24/2 is a miniature plug-in module.